You want the best care for you and you family’s smiles. 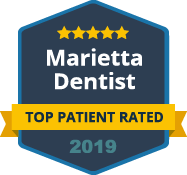 At Dental Care Center at Kennestone, we know that using the most advanced technology and dental methods can improve the experience and results for our patients. Our office invests in the best dental equipment and training for our dental team to ensure you get the best dental care available when you join our dental family. Dental technology has continued to improve the level of care available in our industry. One way dental care has improved due to technology is the imaging available. Our office uses the latest options in digital imaging to help diagnose and treat oral health issues. This includes digital x-rays that are safer for our patients and provide better images. We also use intraoral digital cameras to share images of dental issues with our patients, making them a partner in their oral care treatments. Using the latest dental technology and techniques help our team at Dental Care Center at Kennestone offer better dental care for our patients. Procedures can be performed quicker and with a higher level of accuracy than ever before. This can reduce discomfort, save time and improve the overall experience for our patients. Most importantly, it allows for better care for your oral health. Our advanced equipment can help us detect decay, oral cancer and other oral issues earlier, allowing for quicker treatment and better health for our patients. You and your family’s health and comfort are important to us at Dental Care Center at Kennestone. This is why we invest in the most advanced dental technology for your care. 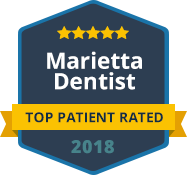 Come join our dental family and experience a higher level of dentistry at our office in Marietta. Contact us today to schedule your next checkup and cleaning. We accept most dental insurance plans.